Kochi is a charming coastal town which is considered a gateway to an incredibly beautiful Kerala. Not surprisingly, they often call this bustling city the "gate of Kerala". 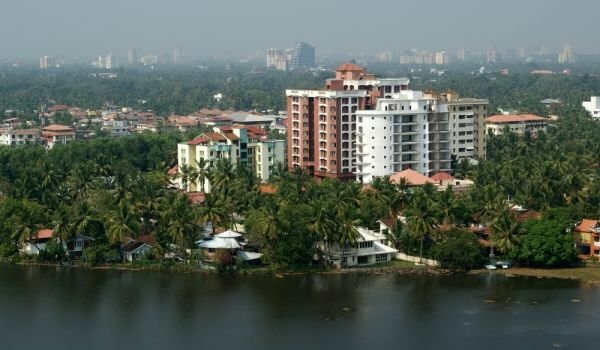 Kochi is located on the southwestern coastline of the Indian Peninsula and is situated between the Arabian Sea and western passage ways. In the past, the city was called Cochin. Today it is a modern, cosmopolitan town with a large and busy port. Known as the financial capital of the state of Kerala, it is the largest urban agglomeration in the area. The city has an unusual structure, built of many different parts. These separate quarters are a consequence of the rich history of this place. Over the centuries, Kochi gained the importance of an industrial and commercial center of Kerala. The city is situated on a large area, but in small parts and considered second in importance in the western part of India after Mumbai. The naturally formed port flourished as early as the 14th century. Goods arriving and leaving from here were mainly cinnamon, cloves and many more spices. Thanks to the many merchants from various parts of the continent, the city has acquired a mix of cultural influences. Tourist tours here include a tour of many historical and architectural landmarks, such as "St. Francis", in which is buried the famous explorer Vasco da Gama. This is the oldest European church in all of India. Interesting is also the house of the Portuguese traveler, which is the oldest building of the Portuguese territory. Quite attractive is Mattancherry Palace, built by the Portuguese and rebuilt again in the 17th century by the Dutch, who donated the town of Raja. Besides these historical landmarks the city has many places of worship. If you walk along the shoreline you will see fishermen who fish with huge nets called chinavala. This is the only place outside China where such facilities are used for fishing. Kochi can be reached by plane, as the local international airport is located about 30 km from the city. Railways to coastal ports are available from all major cities and bus services run from all parts of the chateaux Kerala.